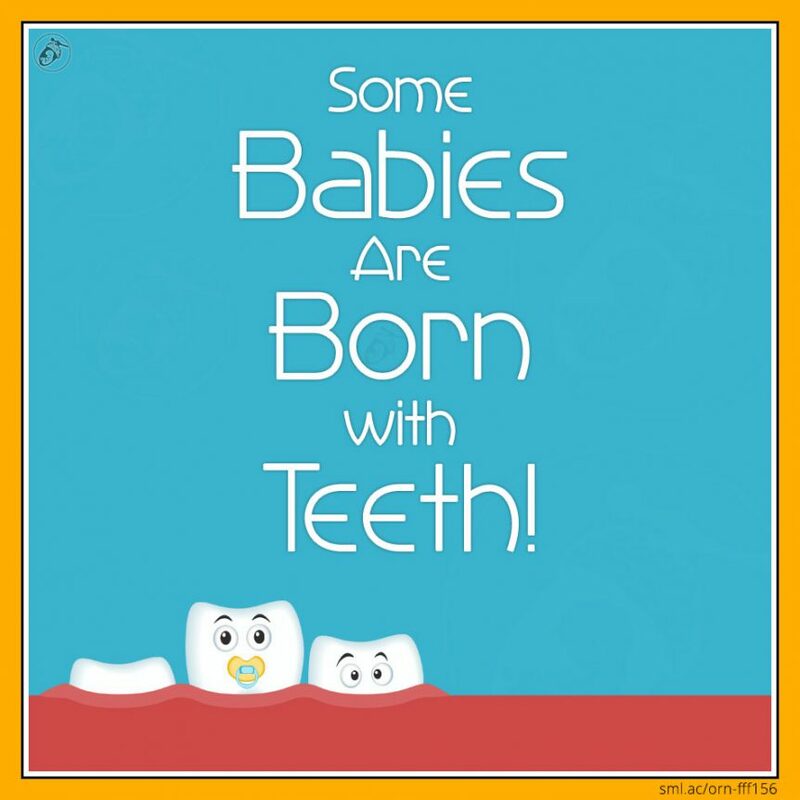 Fun Fact Fridays Some Babies Are Born with Teeth! Some Babies Are Born with Teeth! Teething can be a tough time for some and a breeze for others. This week we explore why some common behaviours associated with teething aren’t always all they’re cracked up to be. We’ll be finding out when teeth arrive, in what order, why some babies teeth may already be present at birth and how many teeth the current record holder was born with. Ooh, AND there’s a FREEBIE for you too (check out the link above). We’ve been off for the Christmas break, but now we’re back refreshed and ready to bring you another year of Small Acorn goodness. This year we intend to re-visit some of the earlier Fun Facts and flesh them out a bit. You see, when we started, our Fun Fact Fridays were often shorter than most of our intros are today and in addition to that, they were only blog posts. We thought we’d start the new year by going right back to our very first Fun Fact Friday that we posted three years ago, nearly to the day. That week’s fact was titled “1 in every 2500 babies are born with a tooth”, so we thought that this week we’d take a dive into baby teeth, when each of them would normally appear, and in what order. Our first teeth started forming well before they were needed. The first stage in their development began at just 6 weeks after our conception, and the enamel started forming at around 3-4 months into gestation. However, it’s not just the baby teeth that begin growing during pregnancy, our permanent or adult teeth start forming at around 20 weeks. If teeth don’t start to develop at or around this time they will not develop at all. Some babies, approximately 1 in every 2-3,000 are born with visible teeth, known as natal teeth. Then there are babies who have teeth that emerge within the first month. These are known as neonatal teeth. These natal and neonatal teeth can be either their baby teeth (also known as primary teeth or deciduous teeth) or another type of teeth known as supernumerary teeth – meaning that they are extra teeth. It was these supernumerary teeth that record breaker, Sean Keaney of the UK, appeared to be born with. In week 143 we discovered that each and every one of us was once a record breaker and we took a look at Sean and his Guinness World Record. He was born on 10th April 1990 with a staggering 12 teeth. These teeth were removed to prevent feeding issues and he grew a whole new set at the more common age of 18 months. Babies can start teething as early as 2 months old, but the chance of your little one starting much earlier than 6 months is pretty slim. At 4 months old many parents think that their little ones have started teething, and this is for two main reasons – they’re dribbling more and putting things in their mouths. But, it’s unlikely that teething is the cause. It is around this time that babies have a ramp up in saliva production and have yet to learn how to swallow it, so most of it just drools out – over hands, over toys and into the unsuspecting mouths of fathers everywhere! This time also coincides with a need to explore things with their mouths, putting in everything from remote controls to fistfuls of dirt and in our case that included wiggling worms. So when should we expect our little one’s teeth to emerge and in what order? 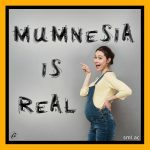 There are no universal signs that your baby’s teeth are on their way and, as with most things, a baby will get their teeth when they’re ready and it will be different for each and every one. Once the first teeth have arrived though, you may start to recognise a pattern or signs that will be individual to your child. In our case, we would notice a mild fever (if you could call it that) about 1 – 2 weeks before new teeth would break through. After noticing that pattern, following the arrival of several teeth, we recognised it as an early warning sign that some new teeth were due. Follow your child, note their patterns and you’ll soon discover when their teeth are on their way. Even if, like us, we needed to be shown several times. 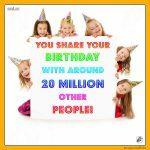 You Share Your Birthday with Around 20 Million Other People! 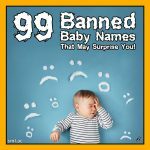 99 Banned Baby Names That May Surprise You! 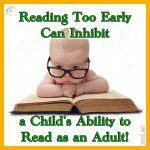 Reading Too Early Can Inhibit a Child’s Ability to Read as an Adult! 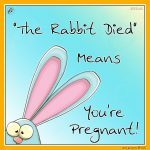 “The Rabbit Died” Means You’re Pregnant! Breast Milk – Keeps Hunger Locked up ’til Lunch!